Long-lived milliwatt power supplies for remote and even hostile environmental conditions are needed for space and sea missions. 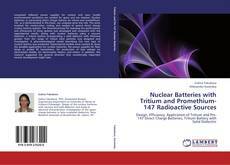 Nuclear batteries, in particularly direct charge battery on tritium and promethium-147, as is demonstrated in this book, can uniquely serve this role. The work involved the construction, testing and analysis of several direct charge nuclear battery systems. The theoretical basis for assessing the performance and efficiencies of these systems was developed and compared with the experimental results. 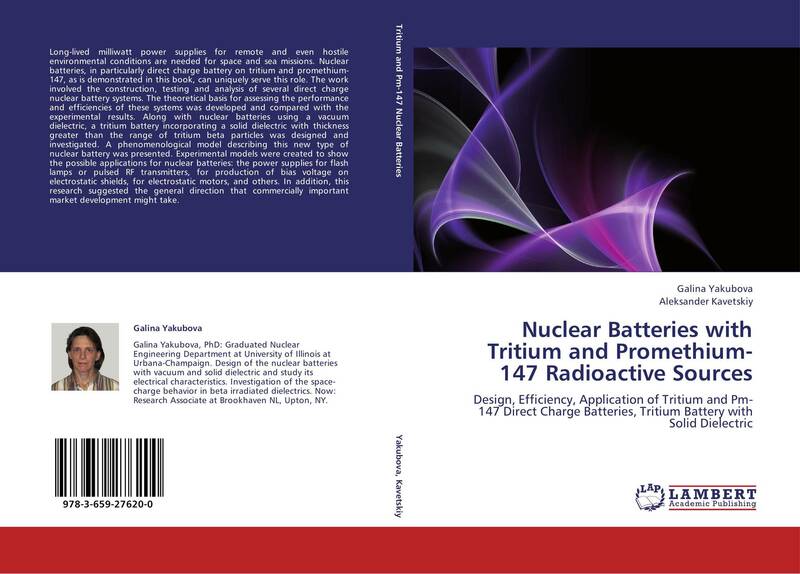 Along with nuclear batteries using a vacuum dielectric, a tritium battery incorporating a solid dielectric with thickness greater than the range of tritium beta particles was designed and investigated. A phenomenological model describing this new type of nuclear battery was presented. Experimental models were created to show the possible applications for nuclear batteries: the power supplies for flash lamps or pulsed RF transmitters, for production of bias voltage on electrostatic shields, for electrostatic motors, and others. In addition, this research suggested the general direction that commercially important market development might take.